The F.L.Y. 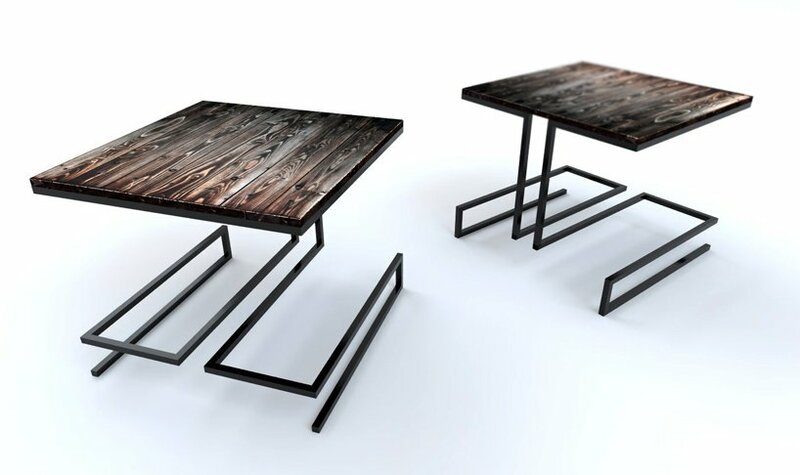 By Night Table and Chair//with dyed bezel shown. P.C. 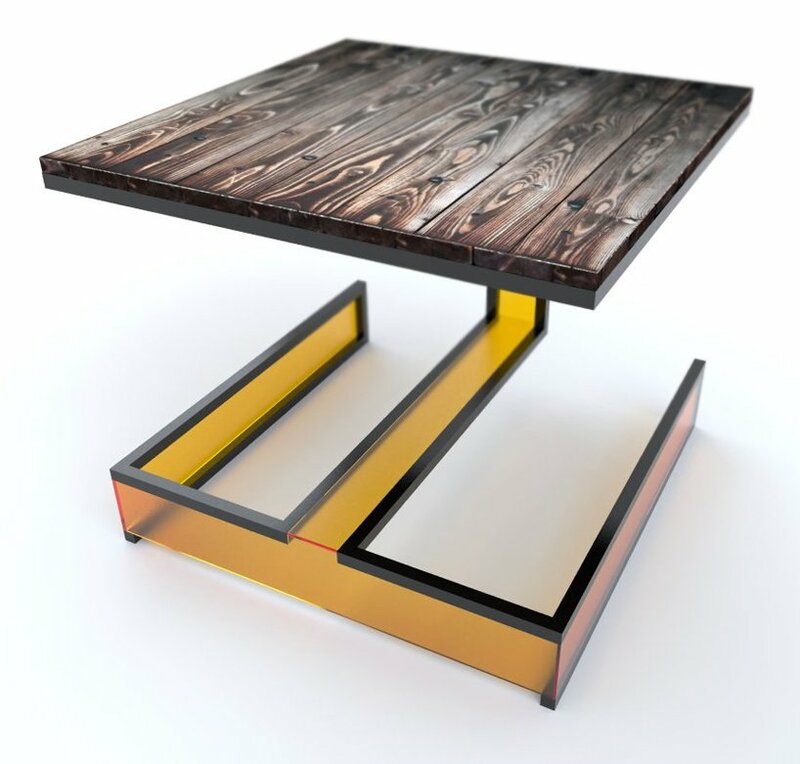 Square tubing and rod cantilevered with reclaimed and finished (stained and clear coated) wooden top. 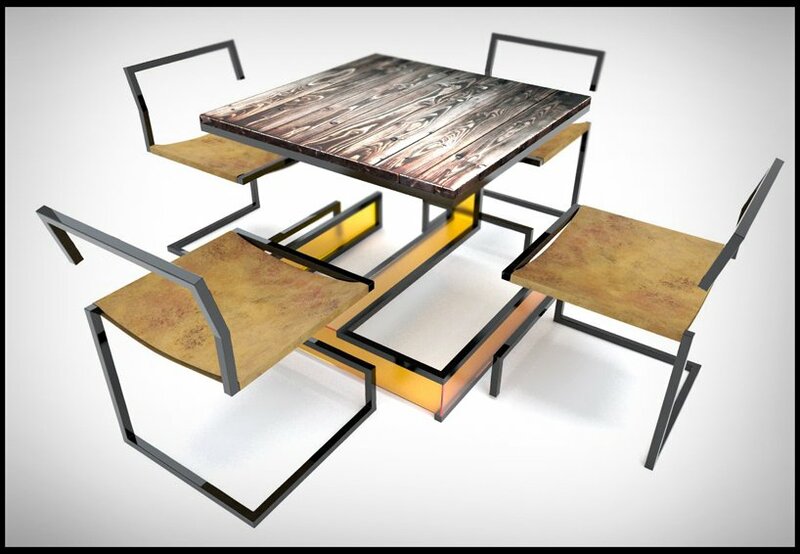 I like the look of this as an end table, but feel it needs the color break as a full dining set as the lines create a lot of visual confusion when paired. We’ll see where it goes shortly.